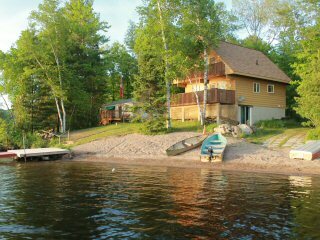 Great opportunity to rent 2 cottages side by side on sandy flat land waterfront lake. Great for family reunions, family get togethers, work excursions! Cottage 2, a recently built viceroy style home offers everyday luxuries - including air conditioning! Great for Toddlers/Kids, Western Exposure for Sun/Sunsets Great for Fishing/Water Skiing!! 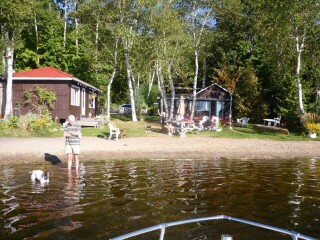 2 Seperate Cottages + Bunkie side by side, both offer different living arrangements. Both share a large sandy beach.